The ascended masters teachings brought to you by The Summit Lighthouse has resources to meet your learning style, whether it is by listening, reading or watching! 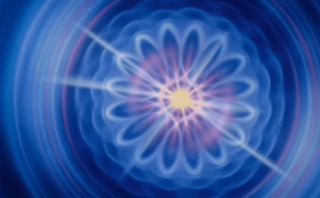 Audio podcasts, video lectures by Elizabeth Clare Prophet, and over 600 articles cover a range of spiritual topics, from archangels, ascended masters, why are you here, the human aura and chakras, karma and reincarnation, and the ascension. Enjoy your journey and we welcome your feedback on what your would like to see …or hear! 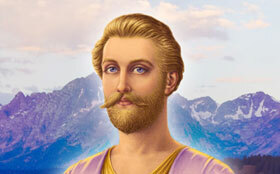 The Summit Lighthouse publishes and applies the teachings of the ascended masters as taught by Mark and Elizabeth Prophet. We study the universal truths that are the foundation of the world's major religions. It is our goal to walk a personal mystical path and attain union with God through the ascension. This may not be your first lifetime working with the angels – these ten lessons may go a long way towards helping you pick up where you left off! 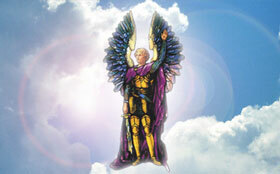 Learn how to improve your life and make the world a better place with the help of Archangel Michael and your guardian angels. 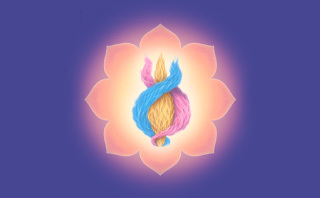 Sign up for ten free lessons to help you develop a stronger relationship with these powerful, loving beings of Light. Learn how to activate, balance, cleanse and master your chakras with spiritual exercises, visualizations and mantras. Create more joy, healing, or peace in your life! 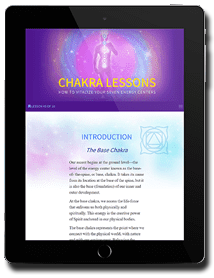 These chakra lessons take you step-by-step through a process to develop your spiritual strength using your chakras. Is the legend of the phoenix rising again from the fire but the story of your soul? From God we came and to God we return, but day-to-day we catch glimpses that the movie Groundhog Day may be on to something. Did you ever wonder, if we all just started at the beginning of this lifetime, why we were born with different aptitudes and talents, face different crises and challenges, and enfire our hearts with different aspirations? Access your free lessons and discover how Karma is the X Factor in our relationships, health and life. Break out of the karmic traps of mistakes you've made…again! Did You Follow Sanat Kumara to Shambhala to Save Earth in Her Dark Hour? Do you feel like you are on a mission, but lost your marching orders? Or your “team” hasn't shown up yet? That there is more to what is going on in the world than the Shakespearean drama spilled out across the new? Looking for more joy, healing, or connected to your reason for being? Reconnect with your soul's story, who you really are, where you came from and why you are here. The Story of Sanat Kumara may well be your story. Pursue your spiritual reality, and more importantly, find out how to reconnect with your team. Teachings of the ascended masters broadcast online live on Tuesdays at noon and midnight (Mountain Time USA). Or visit our archived podcasts to listen to past shows or download the MP3 files from the VoiceAmerica™ website or iTunes. See a list of the 250+ archived episodes. Sunday Lectures by Mark Prophet. Lectures by Elizabeth Clare Prophet. Weekly, 24/7. Lectures change weekly.Lectures by Mark Prophet are taken from the audio series Sermons for a Sabbath Evening and Discourses on Cosmic Law. Elizabeth Clare Prophet gave ground-breaking lectures on the teachings of the ascended masters, working with angels, the mystical paths of the world's religions, twin flames and soulmates, practical steps you can take to accelerate your progress on the path to your ascension. 1. Family Designs for the Golden Age: Ongoing 15-minute audios. Thirty nine episodes for you. Whether you are a parent, single, married or divorced, you will find these lectures profoundly helpful. Learn how to heal your relationships, raise your energies, work through personal and family karmic situations, and unlock your children’s true genius. Elizabeth Clare Prophet answers more than 300 questions about the Teachings of the Ascended Masters including the aura, seven rays, chakras, violet flame, prosperity, karma and reincarnation, spiritual keys to healing, sexuality and spirituality, and the creative power of sound. Angels is a 13-hour video series with Elizabeth Clare Prophet. Episodes include Introduction to Angels, Archangel Michael: Angel of Protection, Archangel Michael and the Fallen Angels, True Stories of Archangel Michael’s Protection, and the Mighty Seraphim. Enjoy our online educational presentations on a variety of topics: the spiritual life of the unborn baby, the economic philosophy of Jesus Christ, and spiritual and physical preparedness for whatever life brings our way. Format is audio with slides. Currently there are 10 webinar replays available. Teachings of Enoch, the fallen angels and the origin of evil. TSL Now!, the official e-newsletter of The Summit Lighthouse. subscribe for your TSL Now monthly newsletter. TSL Ahora, boletín electrónico mensual en español de The Summit Lighthouse® Suscríbase aquí. The Pearls of Wisdom® have been published continuously by The Summit Lighthouse since 1958. The Pearls of Wisdom® contain authentic teachings of the Ascended Masters—the mystics and sages of East and West who have graduated from earth’s schoolroom and attained union with God. Free Current ePearls Subscription. This is a free ongoing subscription to the free PDFs of the current printed Pearls of Wisdom. They are emailed twice a month. Request your free Current ePearls. Angels, Ascended Masters, Ascension and the Pathway of the Soul, Devotions (Prayers, Meditations, Rituals and The Science of the Spoken Word), Healing, Health and Wholeness and Healing Chalice Petitions, Your Real Self, the Mighty I AM Presence and Holy Christ Self en español: la Gráfica de Tu Yo Divino, Karma, Reincarnation, Elemental Nature Spirits, Prophecy, Spiritual Relationships: Twin Flame, Soul Mate, Karmic Marriage, Aloneness, the Violet Flame and how to use the Violet Flame. We have websites on the etheric retreats, Saint Germain and alchemy, El Morya and the three websites in Spanish! Check the list of Summit Lighthouse websites.